Lot 743. 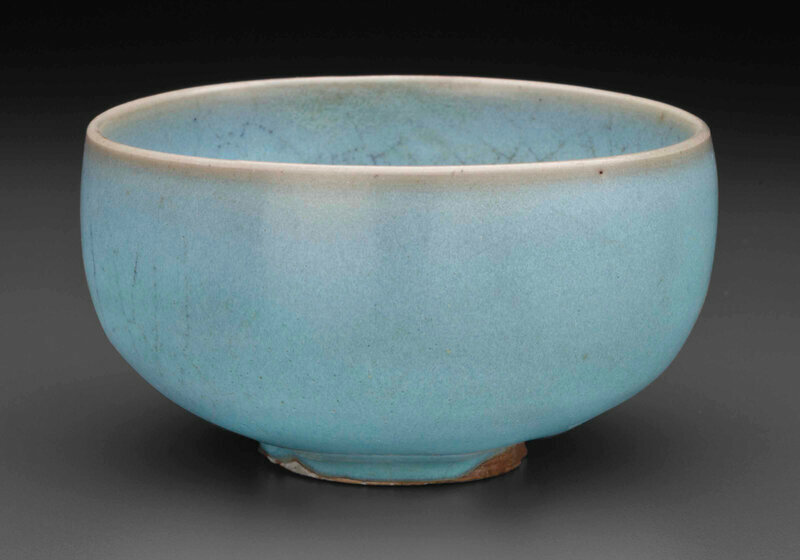 A Jizhou paper-cut resist-decorated tea bowl, Southern Song dynasty, 12th-13th century; 4 1/8 in. (10.5 cm.) diam. Estimate $4,000 - USD 6,000. Price Realized $8,750. © Christie’s Image Ltd 2014. The interior is decorated in resist technique with paper-cut decoration of three diamond-shaped flower heads reserved in brown against the variegated, milky buff ground. 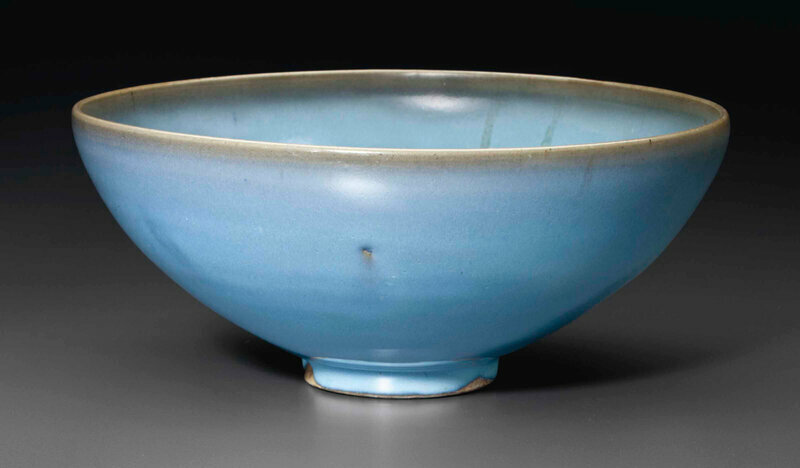 The exterior is covered in a 'tortoiseshell' glaze of dark brown color mottled in beige falling short of a knife-cut edge above the low, narrow ring foot, Japanese wood box.